Imogen's Typewriter. 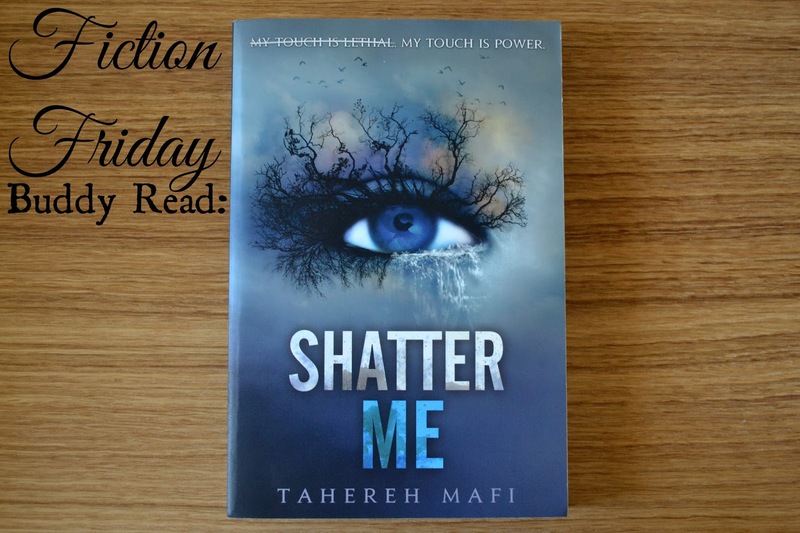 : (Late) Fiction Friday: Shatter Me Buddy Read! This post is a couple of days late but it's April Fools so… Surprise! This month (April) I'm going to be doing a Buddy Read with the lovely Lianne from Literary Diversions! We chose to read Shatter Me since the trilogy has just ended and it's been getting such rave reviews but neither of us had read it! This is the first book in the Young Adult dystopian thriller trilogy and it has a 4.05/5 rating on Goodreads so I'm pretty excited to give this a read. I'm hoping this book will match the beauty of the cover! "Juliette hasn’t touched anyone in exactly 264 days. Sounds fun, right? And here is Lianne's video about it. Information about the Buddy Read starts at 2:20! If you want to join us we're going to be reading about 13 chapters a week and I'm going to be posting updates as we go, with a big joint review at the end of the month! Have you read Shatter Me? What did you think?